Why is it Important to Maintain a Good Credit Score? You may be wondering “why is it important to maintain a good credit score?” There is a lot of misinformation around concerning what is a “good” and “not good” credit score. The truth of the matter is that each credit reporting agency want to distinguish itself from the others. This results in a credit score that differs depending on the company that calculates it. Small business credit scoring models are very important to efficiency. In the previous article, we visited the Dun and Bradstreet PAYDEX Score. This was focused on small business credit scoring and credit availability. D&B PAYDEX Rating labels are indications signaling the nature of the content inside the business credit report. Much like judging a book by its cover, a lot of financial institutions use various scores to make instant judgements about your business practices. Additionally, these financial institutions make their own internal small business credit scoring models that affect their decision when providing an extension of credit through a business loan or a merchant account. The credit scoring system for small business loans differs in the procedure for industries labelled high-risk. Getting a merchant account for a high-risk business can be problematic – especially trying to find a solution to be able to accept credit cards from your customers. FICO scores are considered to be the most trusted. Because of this, more than 80% of lenders use your FICO score to determine your credit worthiness. On top of this, this credit reporting agency endorses “FICO High Achievers”. These high achievers pay their debts on time, use a small portion of their available credit limit, have credit accounts established over many years and owe less than $3500. Because this FICO score range is important to your personal and business ventures, FICO quarterly monitoring is an essential part of maintaining a healthy credit status. What is the Experian Credit Score Range? Experian, another reporting agency, uses the FICO Score Range; however, Experian sets different criteria for each range. Given that these ranges are different in both quantitative and qualitative data, it is no wonder people get confused. For example, imagine a credit score is 600. According to FICO, 600 is “Poor” whereas Experian reports 600 as “Fair”. What is the TransUnion Credit Score Range? TransUnion has a very complex scoring system based upon what is in their database. For example, if you want to buy a car, there is a credit scale with defined ranges; however, if you have experienced a bankruptcy, a different set of criteria is used. Due to the way TransUnion calculates its data, it is challenging to rely on the number reported as your credit score. The number itself does not signify anything without the addition of the consumer’s credit history. Therefore, if your TransUnion score is 600, it can be “Good” or “Bad” depending on the scale used. What is the TransRisk Score? TransRisk is the proprietary name for the TransUnion Score mentioned above. This is one of the scoring systems stated above. What is the Empirica Score Range? The Empirica Score Range is utilized by TransUnion. This is another scoring system as mentioned above. The Equifax Credit Score Range uses both numbers and letters to signify credit worthiness. When your score is reported as 600, it is in the “E” category. Is this “good”? It is hard to tell. Looking at the spread of numbers, 600 is below average. When comparing FICO vs Equifax, it is easy to see that Equifax has its own scoring system that is less reliable than FICO for determining a “good” credit score. What is the Beacon Credit Score Range? The Beacon Score Range is used by Equifax. When comparing FICO vs Beacon, it is clear that the FICO Score is superior at revealing a “good” credit score. What is the VantageScore Range? The VantageScore is the combined scores of TransUnion, Equifax and Experian. Imagine a score of 600. In the case of your VantageScore, 600 is considered “high-risk” with a discourteous grade of “F”. Why do lending agencies rely on the VantageScore if it is so different? Lending agencies rely on the VantageScore when there is very little consumer data to work with. Given the likelihood that a new consumer will fail at maintaining “good” credit, they are considered “high-risk” in the meantime. When comparing FICO vs Vantage, choose FICO because VantageScore is susceptible to fluctuating number changes shaped by TransUnion. What does the Credit Score Range Percentile mean? First, let us define percentile. Percentile is not the same as a percentage. Percentiles are calculated “On the curve”. This means that the percentile mentioned is based upon the percentages received and is skewed to the center of the percentages. For example, if you took a test and initially scored 60%, this could be a low grade; however, the top score in the class was 60%. You would be in the 1% percentile. This means that no one scored better than you. Second, the credit score range depends on the credit reporting agency. Therefore, depending on how well your credit performs in relation to other consumers, determines the percentile. By looking at how the different credit reporting agencies label their credit research with numbers and names, you can see that they are clearly different. This means that the least you should worry about is the accuracy of your credit score. Instead, focus on making payments to vendors on-time and in full as well as checking your reports at least once a year to clear any inaccurate information. By following these steps above, your business will maintain a good reputation that the financial institutions will respect. Having a “good” credit score means that you are a “good” bet. 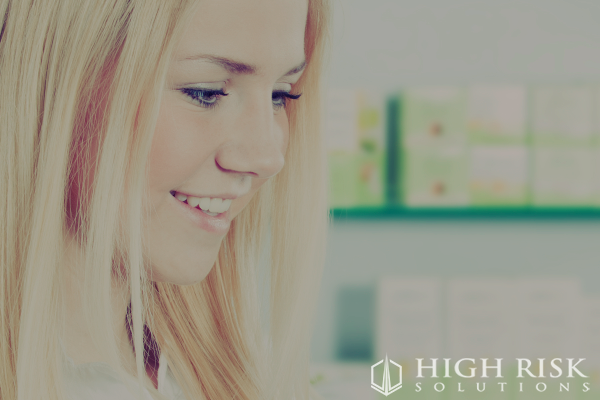 High Risk Solutions is a US-Based business that has been in operation since 1995. 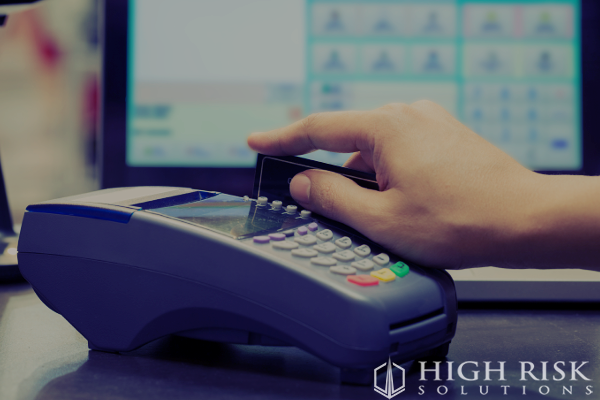 By filling out the application below, High Risk Solutions will help you find a merchant account that fits the needs of your business. 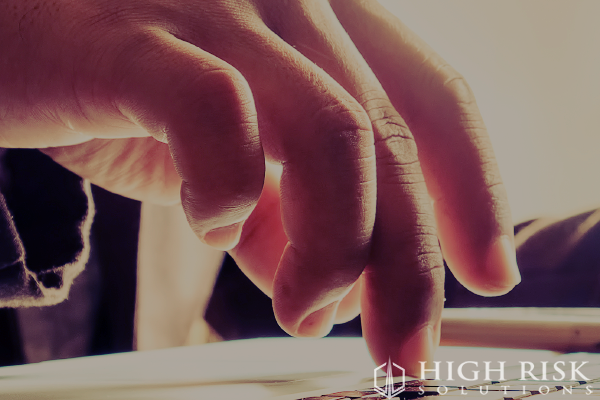 It is a good thing to know that High Risk Solutions is a “good” bet, too. Fill out the application now by clicking below!